petition: Traveling in 2019? Make sure your plans don't harm animals with this free checklist. Traveling in 2019? Make sure your plans don't harm animals with this free checklist. Australians are known worldwide for their love of travel. Here at home, nearly 94 thousand Australians travelled domestically in 2017, exploring the boundless offerings of our six states. This year, whether you're exploring the tropical rainforests of Queensland, trekking through the outback, or leaving the mainland for Tasmania, your holiday plans have a massive impact on native Australian wildlife like kangaroos, koalas, and wombats. Globally, three out of four wildlife tourist attractions abuse animals or harm conservation efforts, with an estimated 110 million people funding this cruelty with their vacation dollars each year. The result is over half a million wild animals being exploited and abused by irresponsible animal tourism industries and travellers. Luckily, World Animal Protection Australia has taken the guesswork out of your travel plans with a free downloadable checklist to ensure that your holiday doesn't fund animal exploitation. 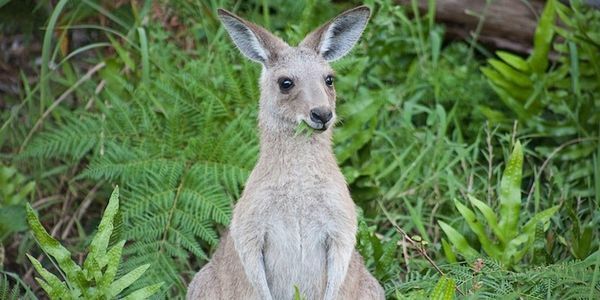 The checklist includes recommendations of where you can spot Australian wildlife in the wild, where they belong, without ever stepping foot in an amusement park or any other tourist attraction, as well as best practices and research tips that will create lifetime memories without harming animals.